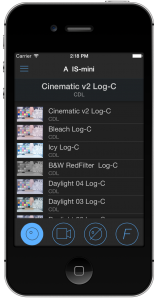 Along with LiveGrade PRO 2.0, the LiveGrade PRO Remote iOS app has been released. 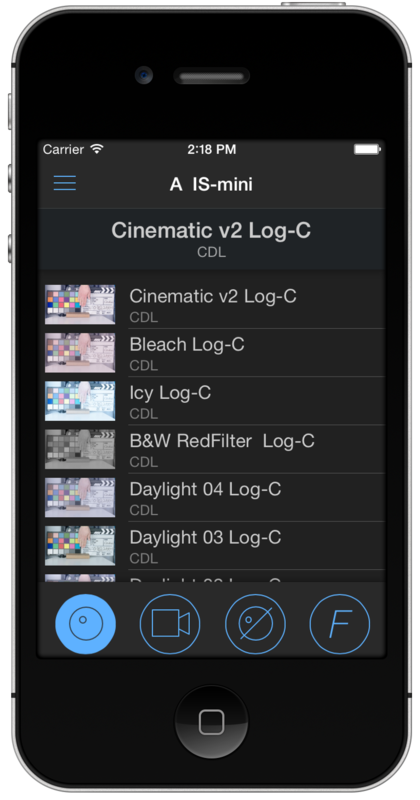 This app will let you use any iOS device to remotely control basic functions like applying grades form the library, showing original signal, by-passing color and showing False Color while away from the computer. At this point, any iOS device with the LiveGrade PRO Remote app connected to the same wireless network will be able to control LiveGrade PRO. For this reason, we recommend to set a password in the Preferences panel. 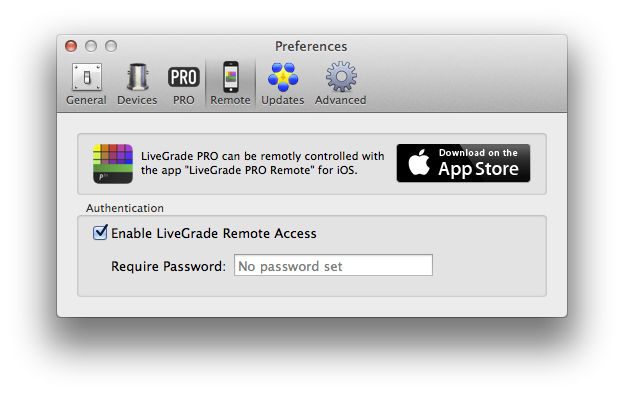 The LiveGrade PRO iOS Remote is available from the App Store.